Agreements are arrangements between two or more parties that is related to particular something, which could be about business, marketing and advertising, collaboration, consultancy and other fields of work. An agreement comes into existence with one party offering it and another party accepting the agreement. 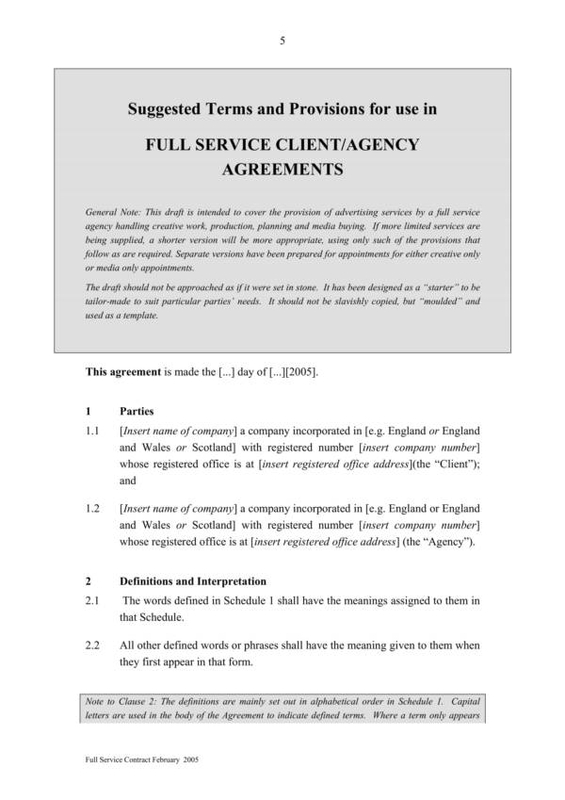 It is important that both parties or all parties in an agreement agree to the same terms and conditions before it can be considered legally binding. In the business field, agreements are a big hit. There are agreements for business partnership, trade agreements, purchase of goods and services, and advertising and marketing agreements to name a few. 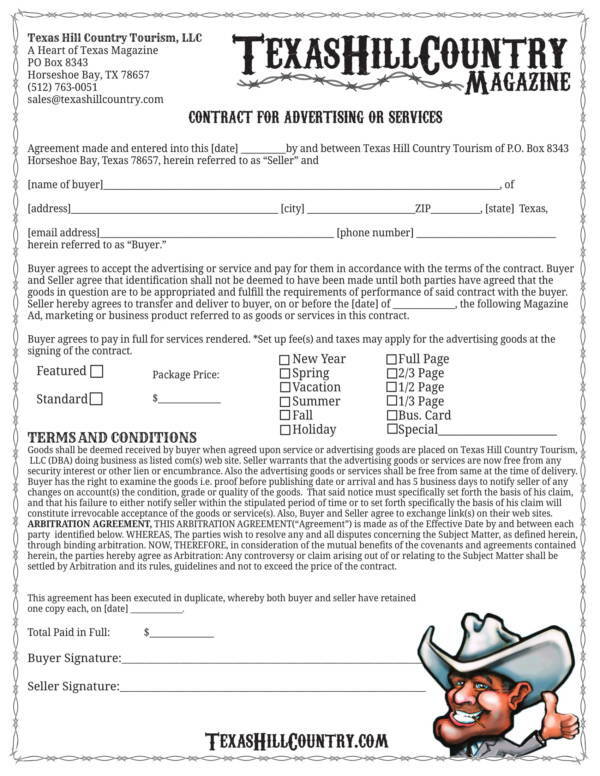 Businesses need help help from other other businesses so that they can make improvements to how they do things.An advertising and marketing agreement does just that. 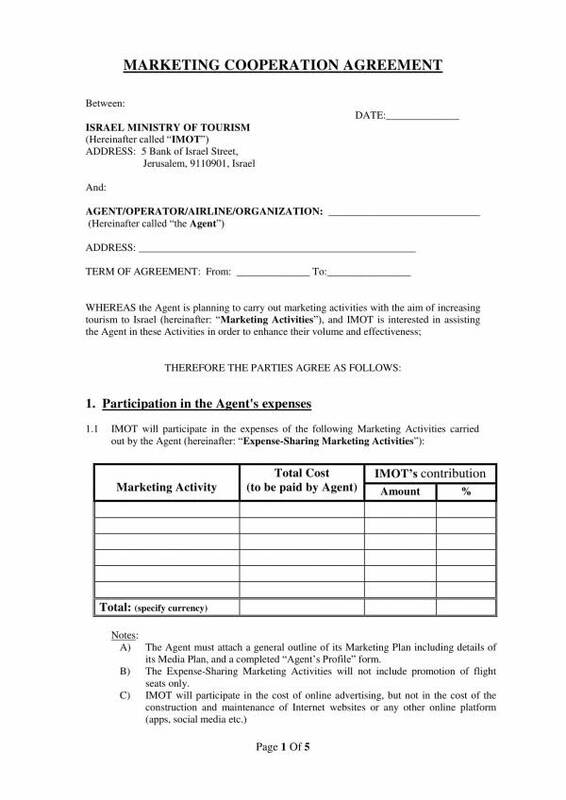 Let us learn about advertising and marketing agreements together with the sample templates provided below. 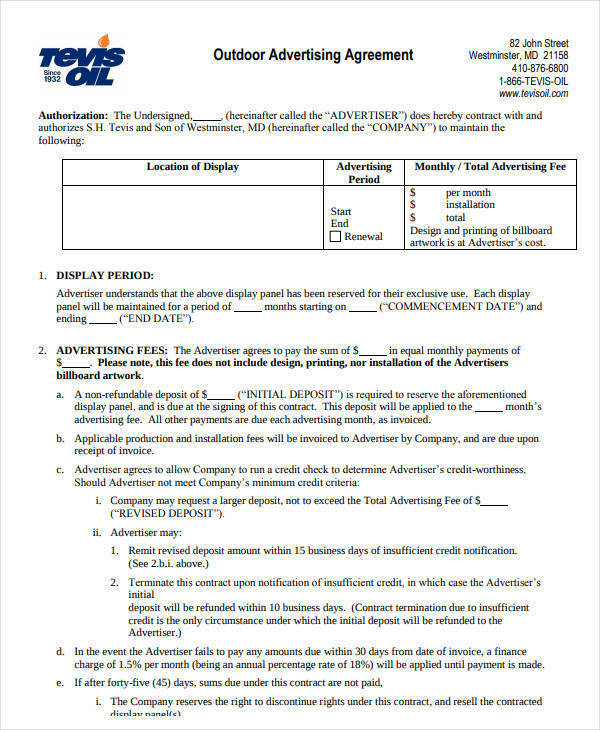 What Is an Advertising and Marketing Agreement? 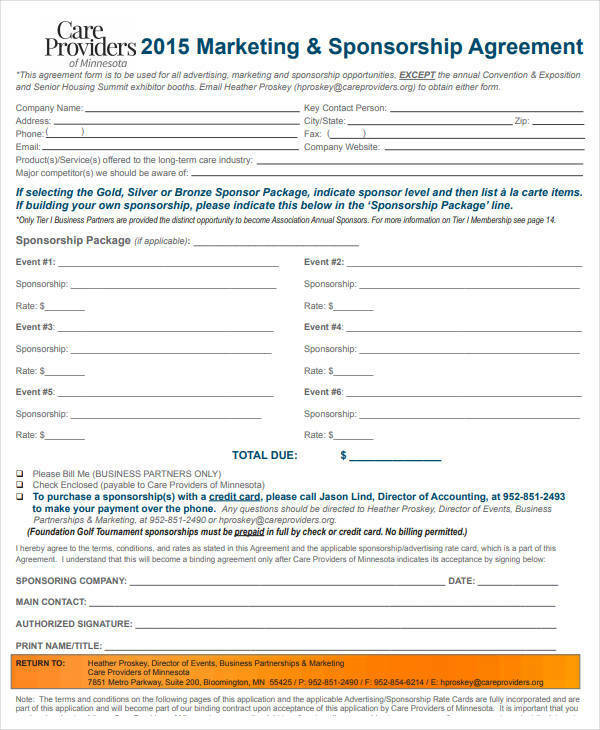 Businesses need help promoting or making their business known to their target market or to prospective clients. That is why they need the services of advertising and marketing companies to this job for them. 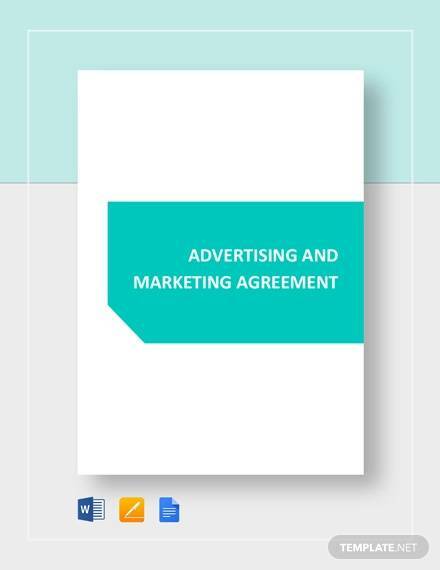 An advertising and marketing agreement is an agreement that is specifically created and drafted to be used for business transactions that are related to advertising and marketing. 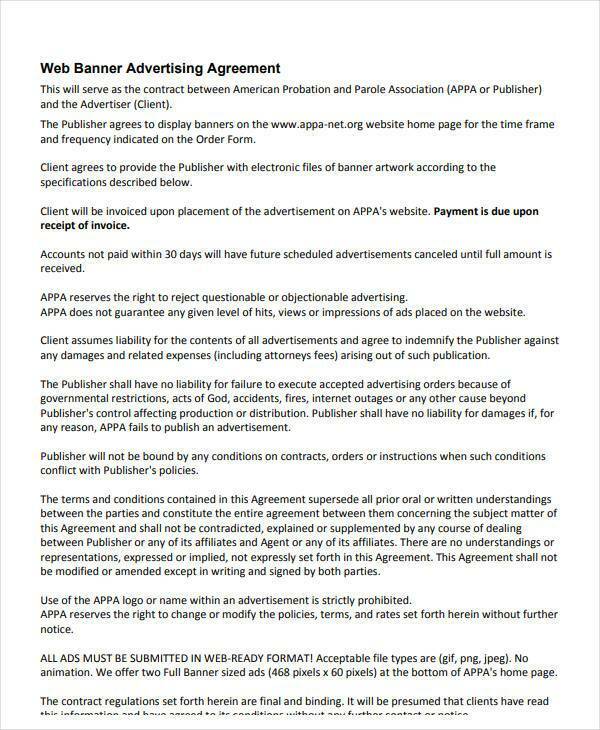 The terms and conditions provisioned in the said agreement are solely about how the advertising and marketing company will promote a business, as well as how the preferences of the business seeking their expertise. 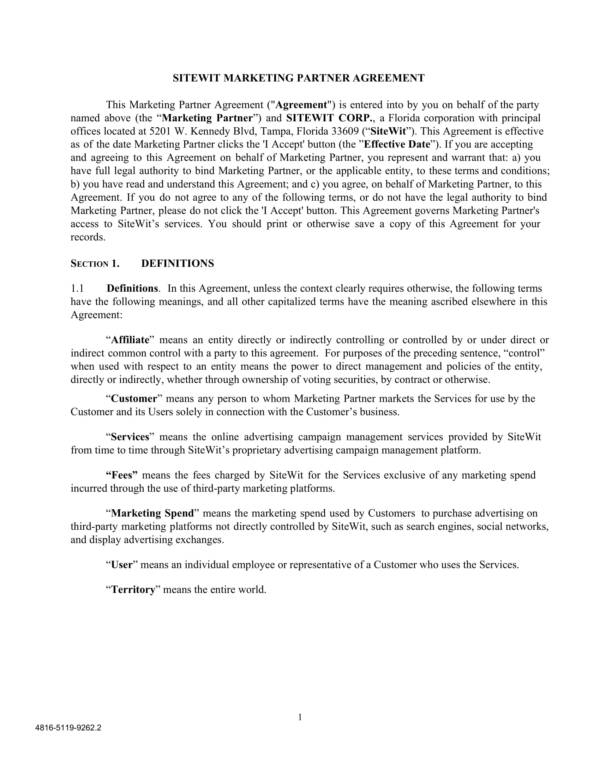 The contents and some of the arrangement in an advertising and marketing agreement may vary depending on the type of business, product or services to be advertised. Other related articles that you may be interested in are Joint Marketing Agreement Samples and Template, Sample Advertising Contract Agreements, and Marketing Agreement Samples and Templates. 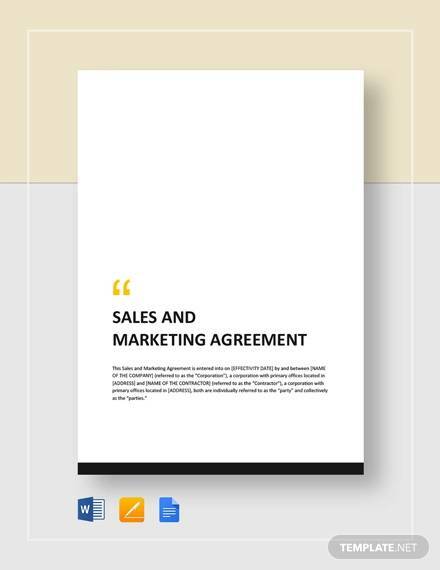 Agreements have many uses and so are their templates that is why it is considered as an essential tool that one should have in business and other important transactions. We have made a list below of the uses of an agreement template that you should know. Provision of the terms and conditions – The agreement is where all the terms and conditions agreed by the parties are stated. The terms and conditions make up the largest part of an agreement template and it is important that is provided in detail. Lists the parties involved – This refers to the name of all of the parties involved in the agreement, regardless if they are individual entities, companies or organizations. This is how people will know who is involved in what type of agreement. 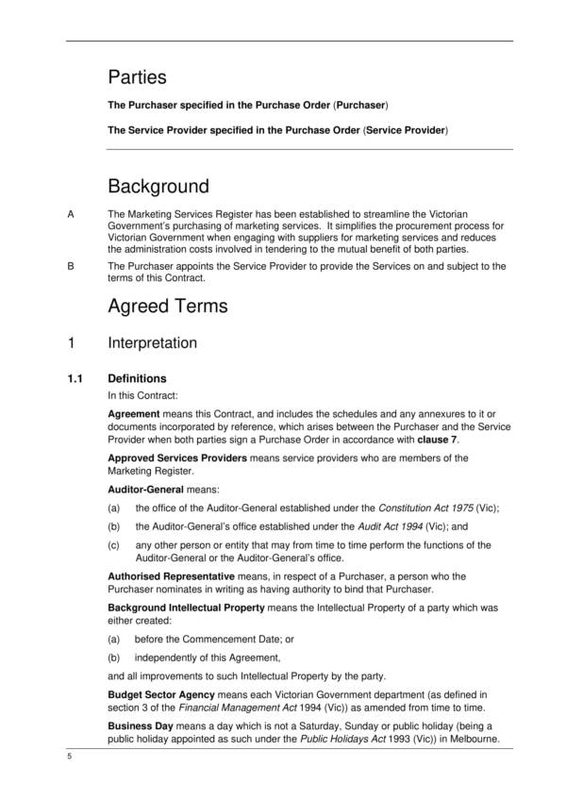 States and explains what the agreement is all about – Aside from providing the terms and conditions, an agreement template is also where you a detailed explanation of the main subject of the agreement. Provides other details of the agreement – These are the details in an agreement that cannot be categorized under the terms and conditions or under the clauses. They are still important bits of information that must included in an agreement at all times. Binds the parties to the terms and conditions – One of the primary uses of an agreement template is to bind the parties to the agreement as well as to the terms and conditions of the agreement. So once the agreement template has been filed out and signed, the agreement is said to be sealed and the parties have arrived to a common understanding. States the duties and responsibilities of all parties – An agreement template is also used as a reference where the parties involved can check or review to remind or refresh themselves of the duties and responsibilities that they must fulfill while under the agreement. Documentation and record keeping – Recording and documenting everything that took place in a transaction is important and that is what an agreement template is used on. 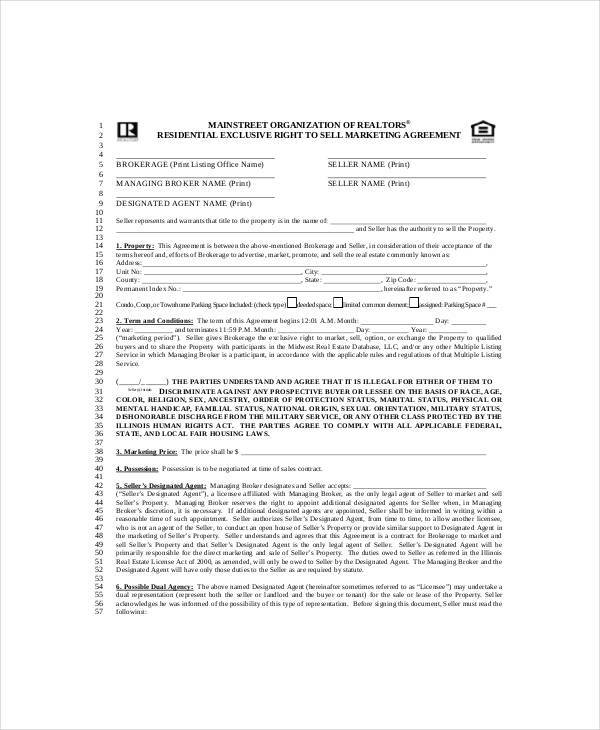 All of the details that were discussed in a transaction are recorded and documented in an agreement template. This document can be used as proof or evidence in court if the need arises. An agreement template is indeed useful. 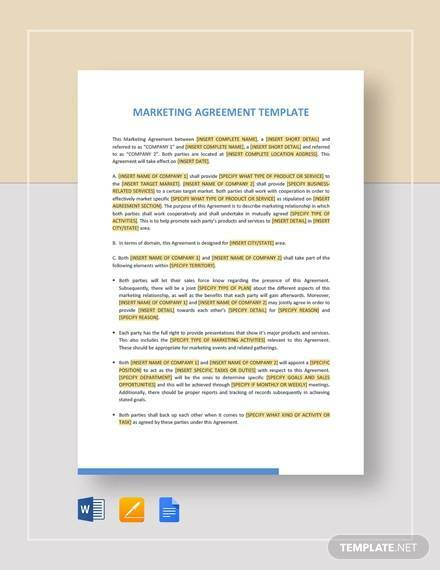 To find out more about agreement templates and get agreement template for free, you may check out the articles we offer on our website. 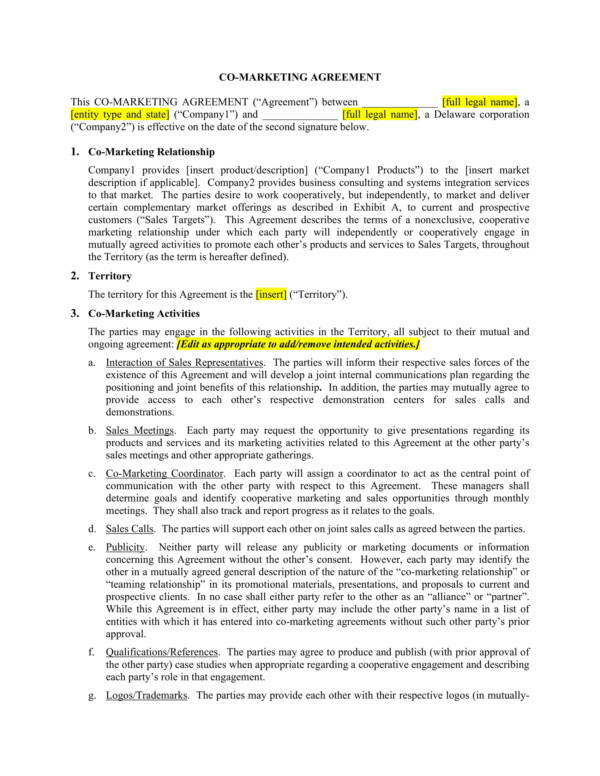 A few examples are Reseller Agreement Samples and Templates, Service Agreement Templates and Samples, and Marketing Consulting Agreement Samples. Getting into an agreement is a serious matter thus creating the document is also one to pay attention to. The agreement may do you good or bad based on certain elements that are included in it. 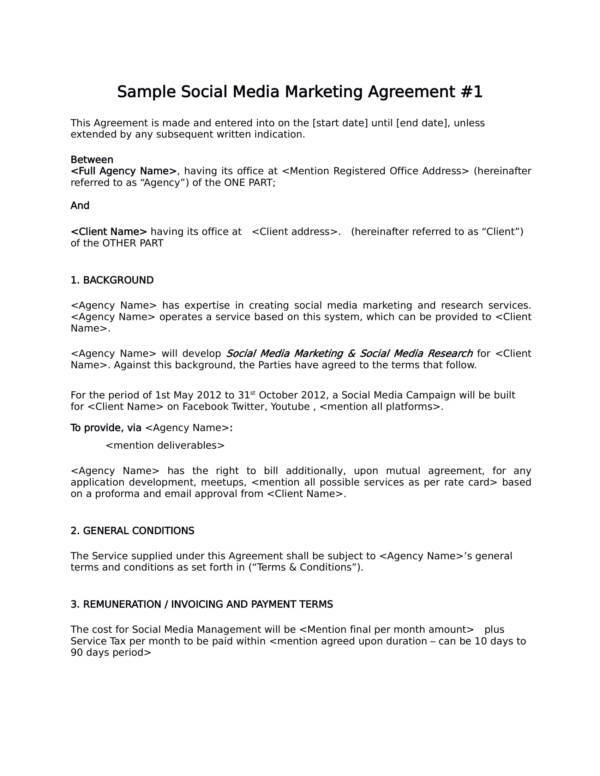 To help you, here are the elements that every marketing agency agreement should have that you should know of. The legal names and addresses of both parties – Making sure that you put the right name and correct address of the parties involved in the agreement is the best way to specify the identities of the parties involved. This prevents any potential confusion and misidentification. Nicknames may be added to the agreement once the legal names of the parties are already specified. And the best way to get the accurate and correct information is to check with your client about these details. Duration of the agreement – The start and end of the contract should be specifically stated in the agreement to ensure that both parties will have a clear understanding and knowledge of the duration of time that it covers. The scope of work – It is important that the scope of work of your agreement is written as specific and as detailed possible. The details to include in your scope of work the things that you have agreed on, your goals for the agreement, the services that you are providing and their tangible deliverables, what is required to have it done and how it is going to be carried out. 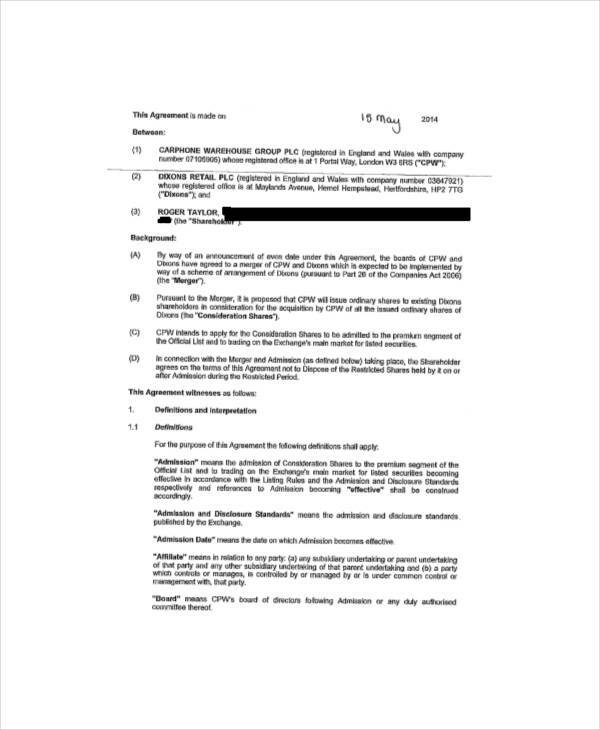 Additional work request clause – Adding this statement as part of your scope of work makes it clear that any additional work outside from those covered by the scope of your agreement will be considered as a separate rate and a separate agreement. Payment schedule and budget – The total amount to be paid should be specified in the agreement, including details like how it is going to be paid, the mode of payment, and if the payments made are refundable. Late payments – As much as possible you would want your clients to pay on time, but there are certain circumstances that would trigger late payments. To avoid late payments, your agreement should sate when payment is due after the invoices are sent out and received. 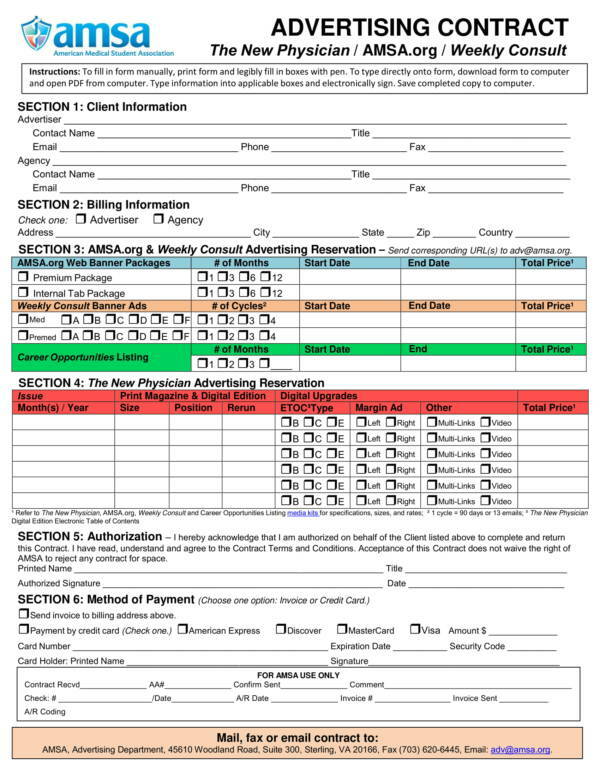 Details about a late fee should also be charged on top of the balance owed by your client. 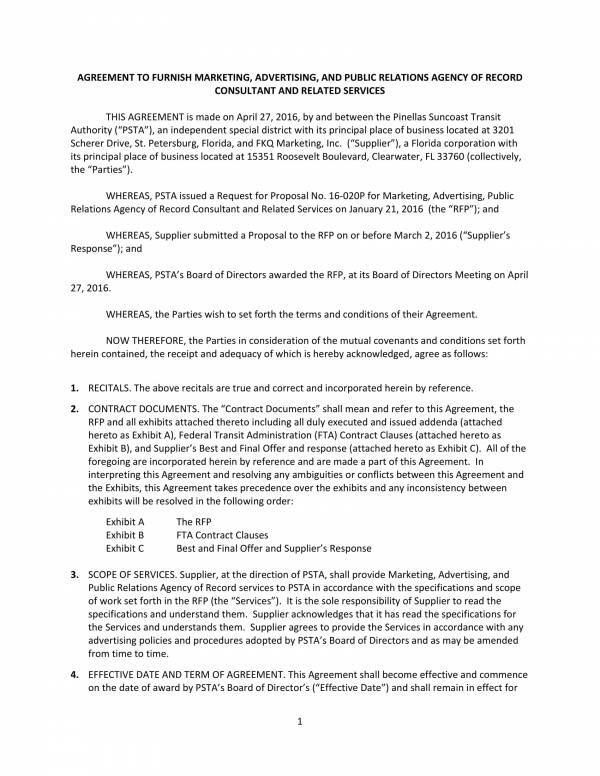 Termination clause – This is the part of the agreement that points out what will happen if the other party wishes to terminate the agreement and what situations trigger the termination of the agreement. Breaches and their remedies – A breach happens if any of the terms and conditions in an agreement is violated. The specific breaches are stated, including their remedies to prevent the possibility of going directly to court. Copyright statement – Discussed in this part of your agreement is who will own and claim the rights to the output that is produced by the agreement. Confidentiality and indemnity – Adding a confidentiality and indemnity clause to in an agreement helps protect both parties from one another. The things that must be kept confidential should be stated or listed in the agreement to prevent leaking of information shared by one party to the other and vice versa. 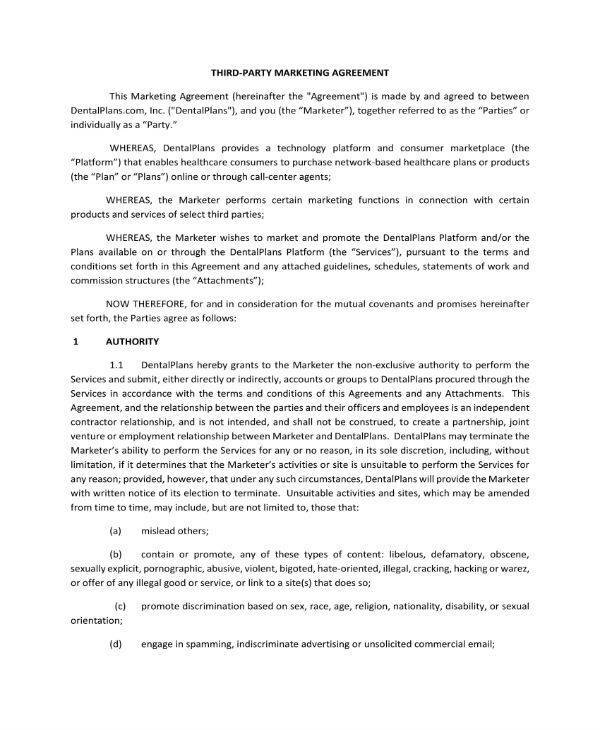 The next time you make an advertising and marketing agreement, be sure to check if you have all of the elements listed above. They will definitely make your document reliable and effective. 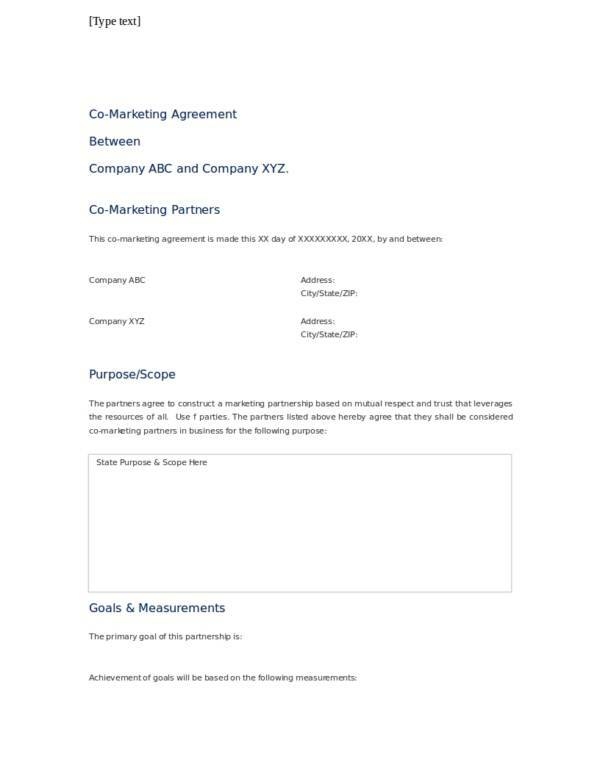 You may also check out other related articles on our website, like Joint Venture Agreement Samples & Templates, Agreement of Transfer Templates, and Partnership Agreement Short Form Samples and Templates. 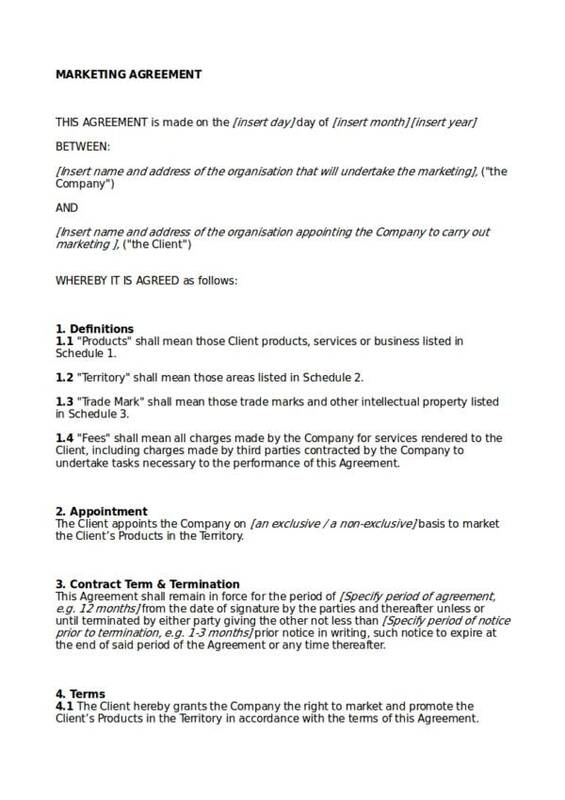 What Is an Exclusive Rights Marketing Agreement? 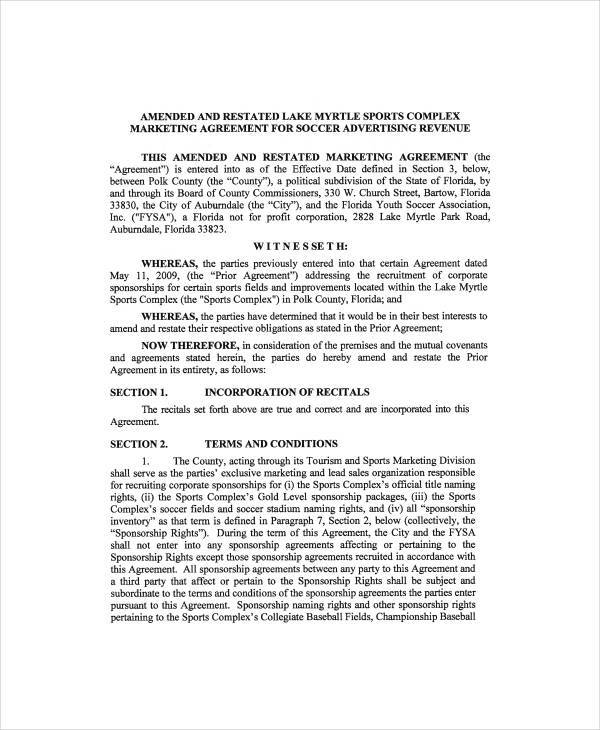 An exclusive rights marketing agreement is made between a company and a distributor, where the company grants legal rights to a distributor to sell and earn a portion of the profit for selling their products or services. What makes the agreement exclusive is that only one distributor is given the authority to sell or distribute the products sold by the company. It works like a partnership agreement with different contents and for a different purpose. In this agreement, the partners are given the freedom to develop their own market without worrying about competing with their resellers. 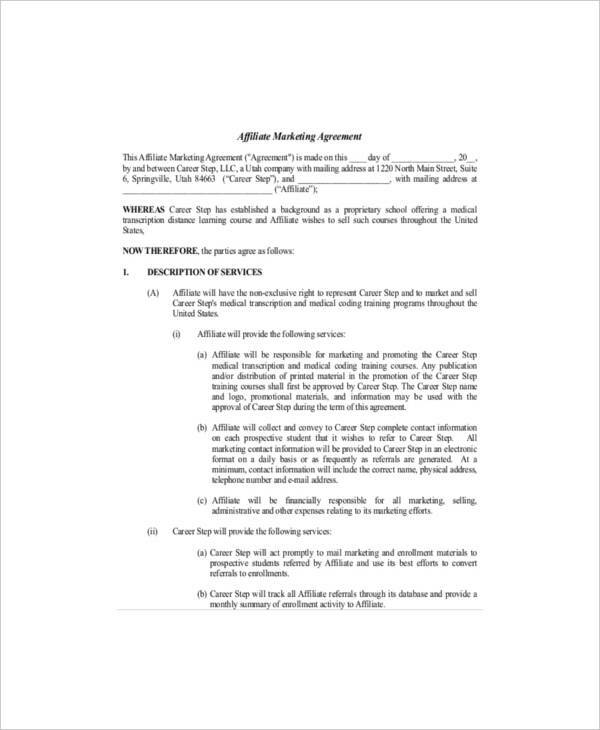 An exclusive rights marketing agreement also clearly lays out the duties and responsibilities of each party in the agreement, as well as the specific terms and conditions stated in ti, and the portion of the profit that each party is entitled to. The areas that needs to be taken into consideration include marketing campaigns, Direct-to-salesperson support, Sales visibility, and Coaching of salespersons. Why Is There a Need to Advertise and Market Products or Service? Your product may be the most effective product there is, but if you don’t do efforts to properly advertise and market it, they will never reach that far. In fact, they may not reach the market that you plan on targeting. Products or services no matter how effective cannot gather customers or clients on their won. The most effective way for prospective clients and your target market to know abut them is through advertising and marketing. Advertising and marketing specific products and services is beneficial to both sellers and buyers. This is because the product can be introduced to the market, where it will be given enough exposure for the people to know and recognize it. Prospective buyers will be made aware of the products, which could be something they have been looking for or something that they just become interested in. This is seen as a win-win situation for both. One buyer will tell another about the product or the service and the same information is relayed to different prospective buyers, which eventually creates a market for the products or services. A good advertising and marketing strategy will definitely get a large number of people to learn about the products or services that one carries. The following are some of the ways to effectively advertise and market a product. Advertising and marketing agreements are indeed useful. We hope that you have learned something from this article. You can check out other related articles that you may find interesting, like Info about Franchise Contracts and Agreements, Investment Agreements Samples & Templates, and Exchange Agreements.